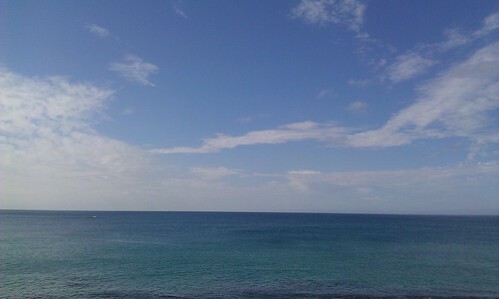 After our lunch at Dong Gang, we continued our journey towards Kenting. The whole journey is relatively short. 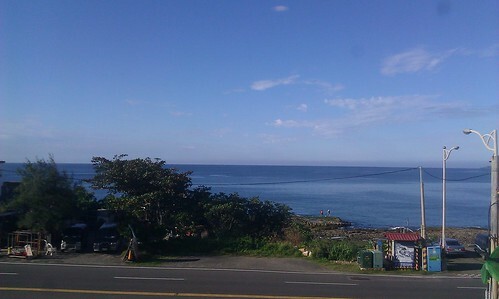 From my Aunt's place to Kenting itself is about 110km only. We had a lunch stopover since this is an own-time-own-target kind of road trip where we don't have any time schedule to keep. It is winter when we are there which meant that it is the lull tourist season. Hardly anyone around which is just perfect for a quiet and serene getaway. This is the B&B that we stayed at the recommendation of my cousin who is a friend of the owner. We got 2 rooms (2-Queen Beds & 1-Queen Bed) for 2 nights and the accommodation bill came up to only NTD 3500 which works to be about SGD 150. Didn't think of taking any pictures of the room which I feel is pretty much the same with all other decent hotels. This is the view from my balcony. Very nice. The locals called this the Nixon Rock. Can anyone guess why? All in all, it was a nice relaxing trip with pretty much nothing to do. There are a lot of sea activities but none when we were there. Like I said earlier, it was lull winter season. 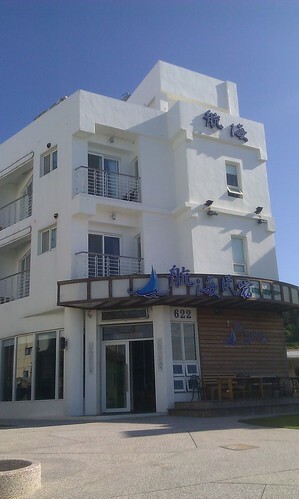 Click here to see the rest of the Kenting photos. First of all, our reservist camp is in Hengchun. 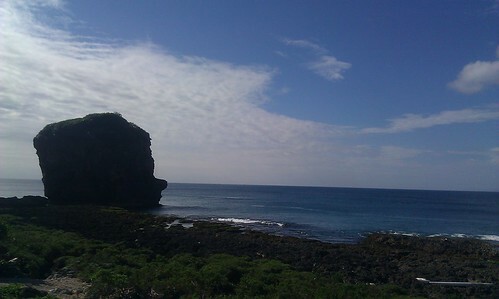 Kenting is another 10km south. 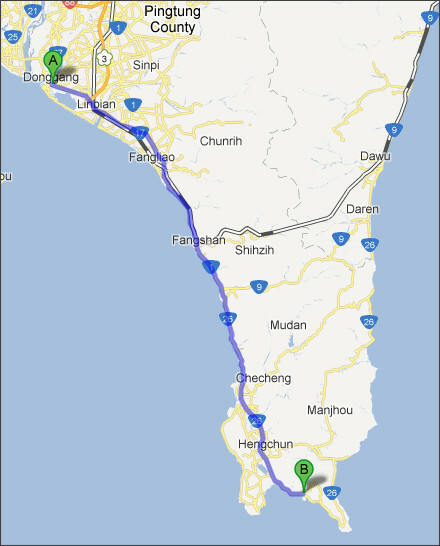 During my two stints, the first R&R was in Taipei and the latter in KaoHsiung. I don't think the Kenting residents want us there. We'll probably muck up the place. We were in KaoHsiung first before TaiPei when i was serving, though. Ex. SL and Ex. BS, heh. Those were interesting times, indeed.